Rich set of excellent tools to perfect your great shots! 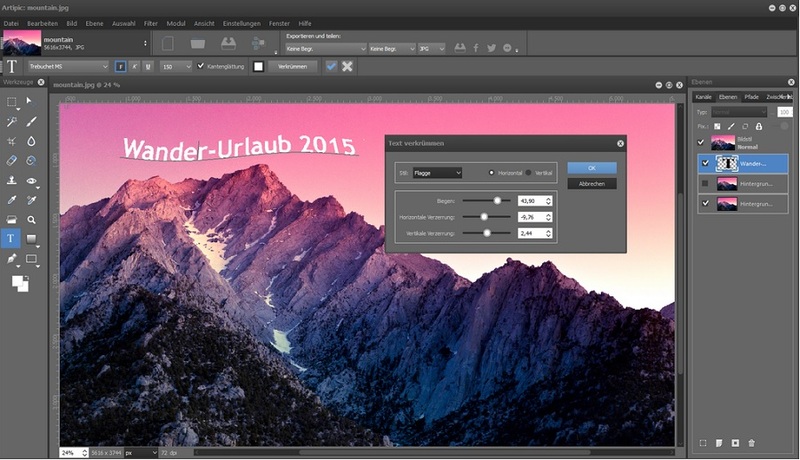 Artipic 2.3.3 was available as a giveaway on March 30, 2016! 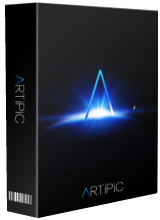 Artipic is a multi-platform image editing system that allows you to quickly and easily edit, retouch, compose and distribute your pictures and photos. Artipic features quite an extensive array of editing functions, filters and adjustments to enhance images. Reversible Stylization enables managing presets of effects and applying them without affecting the source. Batch Processing Module empowers to format large numbers of images by applying predefined action sets. Please note: the program includes the 6 months license! How would you improve Artipic 2.3.3? How did this turn into a Nik Filters discussion? I'll take a pass on this software myself, but I just want to add that I can't get Nik Filters to work with Paint Shop Pro Ultimate X7. There is a script fix that supposedly works, but the filters crash just the same. They also supposedly work better with X8, but I don't have that upgrade. Oh, well. I am looking for my next update to switch to Photoshop Elements, but I have to check first if PSP has anything important Elements does not. Otherwise, X9 when it is released later this year (assuming their normal upgrade schedule). To any who are fortunate enough to download Zoner17 recently from this site you can now add in NIK Plug-ins thanks to information supplied by "ad" today. Zoner has improved with each new version and become a really good program, these plug-ins are superb and bring Zoner17 to a new and much higher level. Today's download, not a bad little program but a six months trial, why bother! To any who are fortunate enough to download Zoner17 recently from this site you can now add in NIK Plug-ins thanks to information supplied by "ad" today. Zoner has improved with each new version and become a really good program, these plug-ins are superb and bring Zoner17 to a new and much higher level. Today's download, not a bad little program but a six months trial, why bother! Both Artipic and SystemSwift say they are installed and activated, but there are no new programs in any Program Files folder! Hi, I have had to pause/stop my AVG virus software before my free programs installed correctly. My install also returned saying it was installed and activated, but it was not. John, Thanks. Worked for me as well. Nowhere on the publisher's website I found any information about of this limitation. Do I have to assume that is just for this giveaway? Should I purchase this product, is just one payment "for life" or I'll be charged recurring payments? Somewhere on their website is stated that (if purchased) I can install it on two computers. On a different page they say that ine payment allows to install this on "all devices..."
Making clear all these point qould facilitate the decision whether purchase this product or not. About the 6-month license: Nowhere on the publisher's website I found any information about of this limitation. Do I have to assume that is just for this giveaway? Should I purchase this product, is just one payment "for life" or I'll be charged recurring payments? Also: Somewhere on their website is stated that (if purchased) I can install it on two computers. On a different page they say that ine payment allows to install this on "all devices..." Making clear all these point qould facilitate the decision whether purchase this product or not. This is a special GOTD release. It's a full version without any limitations that will cease to function in 6 months. Then GOTD registered visitors will be able to buy a lifetime license (that will cover both Win and Mac devices) with a discount. Zicky, To clarify. This is a special GOTD release. It's a full version without any limitations that will cease to function in 6 months. Then GOTD registered visitors will be able to buy a lifetime license (that will cover both Win and Mac devices) with a discount. What happens to this software after six months when the registration expires? Injeun, I'm wondering the same thing. Although it does say "Please note: the program includes the 6 months license! ", it says the 6 month license is "INCLUDED", so by that I am wondering if this means you get free updates for 6 months and as long as you don't update after the 6 months if it will remain an active free license? Bob, You could be right. They should have said that it is a lifetime license with free updates for six months, or somehow clarify the meaning of a six month license. At any rate, it'd be nice if someone from Artipic would monitor GAOTD and answer some basic questions. It will stop working. Then GOTD registered visitors will be able to buy a lifetime license (that will cover both Win and Mac devices) with a discount. Injeun, It will stop working. Then GOTD registered visitors will be able to buy a lifetime license (that will cover both Win and Mac devices) with a discount. I think you have to have Photoshop in order for "The NIK Collection" to work. No. NIK is also standalone after installation. By the way, it will automatically being installed as plug-in for many photo-editor softwares as long as they are on your computer. I've used a couple of NIK plugins for many years, and they not only work in Photoshop, but also Photoshop compatible software (usually means it accepts 8bf plugins). "I think you have to have Photoshop in order for "The NIK Collection" to work." The "Collection" is 7 separate [mostly] P/Shop compatible filters in both 32 & 64 bit versions that each have their own .exe file for stand-alone operation [i.e. as an individual program]. "By the way, it will automatically being installed as plug-in for many photo-editor softwares"
Maybe... It won't detect everything, & while you're given the opportunity during install to browse to & list program folders for graphics apps, the filters that will be copied there may or may not work as-is. PSP X8 Ult in 7 & 10 for example will only work if you set it to use the main plug-ins in the Google folder. For P/Shop CC you put shortcuts to the original folders with the 64 bit filters in P/Shop's plug-in folder, though Color Efex Pro 4 & Dfine 2 will not load when P/Shop starts. BSnyder, <i>"I think you have to have Photoshop in order for "The NIK Collection" to work. "</i> The "Collection" is 7 separate [mostly] P/Shop compatible filters in both 32 & 64 bit versions that each have their own .exe file for stand-alone operation [i.e. as an individual program]. <i>"By the way, it will automatically being installed as plug-in for many photo-editor softwares"</i> Maybe... It won't detect everything, & while you're given the opportunity during install to browse to & list program folders for graphics apps, the filters that will be copied there may or may not work as-is. PSP X8 Ult in 7 & 10 for example will only work if you set it to use the main plug-ins in the Google folder. For P/Shop CC you put shortcuts to the original folders with the 64 bit filters in P/Shop's plug-in folder, though Color Efex Pro 4 & Dfine 2 will not load when P/Shop starts. 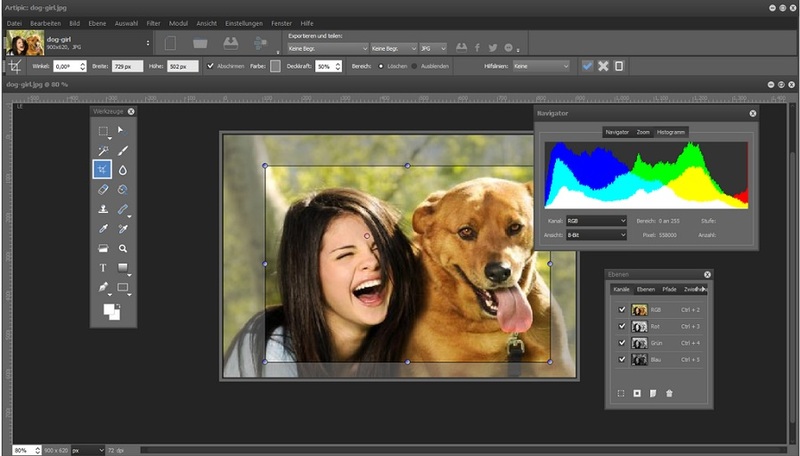 Nik plugins need Adobe soft. The Nik Collection can be used stand alone as each set of filters has it's own exe file. Hi, I tried to use NIK Collection with Zoner 17 without avail. Do you know if there is a way to use it? Thanks for your answer. Settings (Top Right next to Help) - select Plug-ins - Click Add - select the folder where you installed the Nik Plug-ins. Thanks, tested it with Zoner 17, a recent giveaway, and it worked perfectly. Note in XP only the sharpness filter is available. ad, Thanks, tested it with Zoner 17, a recent giveaway, and it worked perfectly. Note in XP only the sharpness filter is available. ad, I forgot to unzipped the Nik Collection. It happens... Works great. Thank you for your answer. Why have Artipic for 6 months only when you can have The Nik Collection for free as long as you want. It is available to everyone, for free. 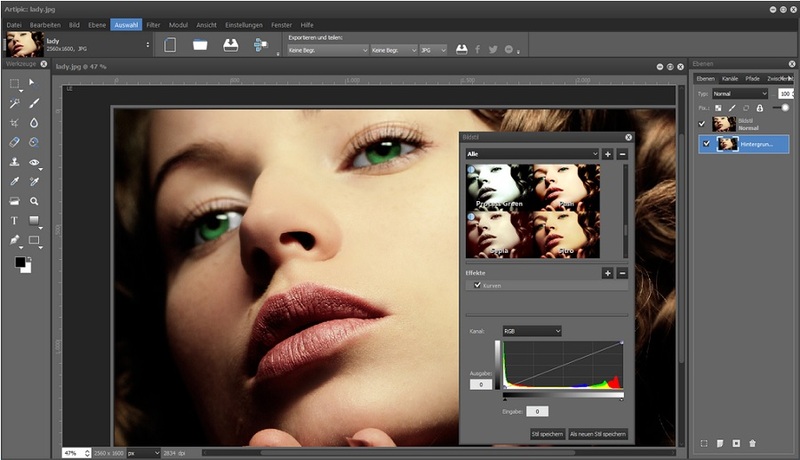 It is comprised of seven desktop plug-ins that provide a powerful range of photo editing capabilities -- from filter applications that improve color correction, to retouching and creative effects, to image sharpening that brings out all the hidden details, to the ability to make adjustments to the color and tonality of images. Starting March 24, 2016, the latest Nik Collection is freely available to download: Analog Efex Pro, Color Efex Pro, Silver Efex Pro, Viveza, HDR Efex Pro, Sharpener Pro and Dfine. Why have Artipic for 6 months only when you can have The Nik Collection for free as long as you want. It is available to everyone, for free. 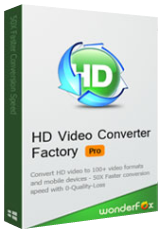 It is comprised of seven desktop plug-ins that provide a powerful range of photo editing capabilities -- from filter applications that improve color correction, to retouching and creative effects, to image sharpening that brings out all the hidden details, to the ability to make adjustments to the color and tonality of images. Starting March 24, 2016, the latest Nik Collection is freely available to download: Analog Efex Pro, Color Efex Pro, Silver Efex Pro, Viveza, HDR Efex Pro, Sharpener Pro and Dfine. Mela, Does it offer picture in picture transparency..? And for those who are unwilling to buy Photoshop this may be of some use. Mela, And for those who are unwilling to buy Photoshop this may be of some use. Does the Nik collecion work with Photoshop Elements ? Download link ? Mela, Does the Nik collecion work with Photoshop Elements ? Download link ? Lisa, Thank you for the GIMP forum link. Very helpful. https://www.google.com/nikcollection/ for info and download. The Nik collection is for free just since March 24th, 2016. Using the Nik Collection in a Stand-Alone Mode?